Besides being a beautiful place to live and a great place to raise a family (or retire now that your family is grown) there’s something that sets Glendale apart from the rest of the nation: it has a lot of residential swimming pools. In fact, it’s among the top 10 medium-to-large cities with the highest percentage of backyard pools. Although the benefits of having a pool are obvious, many homeowners are unprepared for how much work they can be. That’s why Universal Pool Service Inc. was launched in 2002. We provide pool cleaning, maintenance, and repair services to homeowners throughout the Glendale area so that they can focus on what’s important–swimming in them! Our experienced pool cleaning, maintenance, and repair technicians provide top-quality service that’s prompt, reliable, and most of all, transparent. 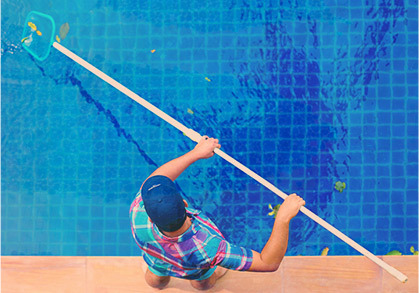 We understand that you have several choices when it comes to swimming pool maintenance in Glendale, but we truly believe that Universal Pool Service provides the best combination of service and professionalism at a competitive price. 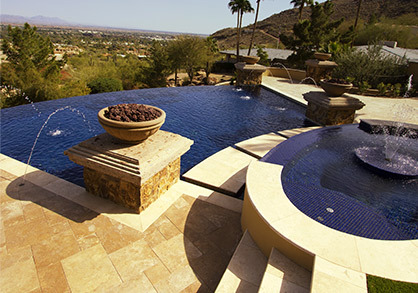 Learn more about the pool services we provide in Glendale below and contact us for your FREE QUOTE today! Chemical Service – Without the proper balance of certain chemicals, you could wake up to a pool full of green algae. If you’re confused by just how much chlorine is enough (or whether chlorine is necessary at all) Universal Pool Service can help. With our basic chemical service, you’ll get a weekly visit from one of our maintenance professionals who will check and balance the concentrations depending on your pool’s needs. See Pool Chemical Service pricing. 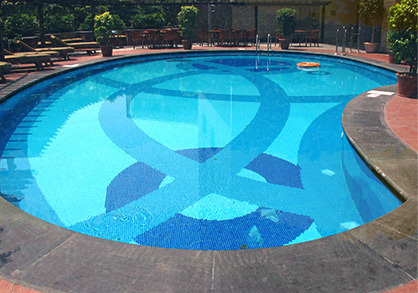 BBB Service – This stands for brushing, baskets, and backwash, three essential elements of all swimming pool maintenance. For a convenient monthly fee, we’ll make sure that the sides and steps of your pool are always brushed free of debris, and filters are backwashed or recharged as needed. These parts of your pool system work hard to keep your pool clean…let us show them some TLC! Full Service (Chemicals And Cleaning) – If you’re tired of pool maintenance and would rather just rest easy knowing your pool is well taken care of, this is the service package for you. Our technicians will come around on a weekly basis to make sure your pool is completely clear of debris and algae, and that chemicals have been properly balanced. See Full Service package pricing.